The Airbus A330 is a medium- to long-range wide-body twin-engine jet airliner made by Airbus, a division of Airbus Group. Versions of the A330 have a range of 5,000 to 13,430 kilometres (2,700 to 7,250 nmi; 3,110 to 8,350 mi) and can accommodate up to 335 passengers in a two-class layout or carry 70 tonnes (154,000 lb) of cargo. The A330’s origin dates to the mid-1970s as one of several conceived derivatives of Airbus’s first airliner, the A300. The A330 was developed in parallel with the four-engine A340, which shared many common airframe components but differed in number of engines. Both airliners incorporated fly-by-wire flight control technology, first introduced on an Airbus aircraft with the A320, as well as the A320’s six-display glass cockpit. In June 1987, after receiving orders from various customers, Airbus launched the A330 and A340. 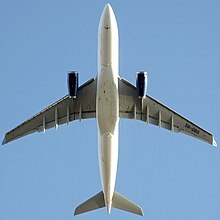 The A330 was Airbus’s first airliner that offered a choice of three engines: General Electric CF6, Pratt & Whitney PW4000, and Rolls-Royce Trent 700. The A330-300, the first variant, took its maiden flight in November 1992 and entered passenger service with Air Inter in January 1994. Airbus followed up with the slightly shorter A330-200 variant in 1998. Subsequently-developed A330 variants include a dedicated freighter, the A330-200F, a military tanker, the A330 MRTT, and a corporate jet, ACJ330. The A330 MRTT formed the basis of the proposed KC-45, entered into the US Air Force’s KC-X competition in conjunction with Northrop Grumman, where after an initial win, on appeal lost to Boeing’s tanker. Since its launch, the A330 has allowed Airbus to expand market share in wide-body airliners. Competing twinjets include the Boeing 767 and 777, along with the 787, which entered service in late 2011. The long-range Airbus A350 XWB was planned to succeed both the A330 and A340. The current A330 (referred to as the A330ceo (current engine option) since 2014) is to be replaced by the A330neo, which includes new engines and other improvements. As of June 2017, A330 orders stand at 1,685, of which 1,354 have been delivered and 1,324 remain in operation. The largest operator is Turkish Airlines with 64 A330s in its fleet. Airbus’s first airliner, the A300, was envisioned as part of a diverse family of commercial aircraft. In pursuit of this goal, studies began in the early 1970s into derivatives of the A300. Before introducing the A300, Airbus identified nine possible variations designated B1 through B9. A tenth variant, the A300B10, was conceived in 1973 and developed into the longer range Airbus A310. Airbus then focused its efforts on single-aisle (SA) studies, conceiving a family of airliners later known as the Airbus A320 family, the first commercial aircraft with digital fly-by-wire controls. During these studies Airbus turned its focus back to the wide-body aircraft market, simultaneously working on both projects. In the mid-1970s Airbus began development of the A300B9, a larger derivative of the A300, which would eventually become the A330. The B9 was essentially a lengthened A300 with the same wing, coupled with the most powerful turbofan engines available. It was targeted at the growing demand for high-capacity, medium-range, transcontinental trunk routes. Offering the same range and payload as the McDonnell Douglas DC-10 but with 25 per cent more fuel efficiency, the B9 was seen as a viable replacement for the DC-10 and the Lockheed L-1011 TriStar trijets. It was also considered as a medium-ranged successor to the A300. At the same time, a 200-seat four-engine version, the B11 (which would eventually become the A340) was also under development. The B11 was originally planned to take the place of narrow-body Boeing 707s and Douglas DC-8s then in commercial use, but would later evolve to target the long-range, wide-body trijet replacement market. To differentiate from the SA series, the B9 and B11 were re-designated as the TA9 and TA11, with TA standing for “twin aisle”. Development costs were reduced by the two aircraft using the same fuselage and wing, with projected savings of US$500 million. Another factor was the split preference of those within Airbus and, more importantly, those of prospective customers; twinjets were favoured in North America, quad-jets desired in Asia, and operators had mixed views in Europe. Airbus ultimately found that most potential customers favoured four engines due to their exemption from existing twinjet range restrictions and their ability to be ferried with one inactive engine. As a result, development plans prioritised the four-engined TA11 ahead of the TA9. The first specifications for the TA9 and TA11, aircraft that could accommodate 410 passengers in a one-class layout, emerged in 1982. They showed a large underfloor cargo area that could hold five cargo pallets or sixteen LD3 cargo containers in the forward, and four pallets or fourteen LD3s in the aft hold—double the capacity of the Lockheed L-1011 TriStar or DC-10, and 8.46 metres (27.8 ft) longer than the Airbus A300. By June 1985, the TA9 and TA11 had received more improvements, including the adoption of the A320 flight deck, digital fly-by-wire (FBW) control system, and side-stick control. Airbus had developed a common cockpit for their aircraft models to allow quick transition by pilots. The flight crews could transition from one type to another after only one week’s training, which reduces operator costs.The two TAs would use the vertical stabiliser, rudder, and circular fuselage sections of the A300-600, extended by two barrel sections. Airbus briefly considered the variable camber wing, a concept that requires changing the wing profile for a given phase of flight. Studies were carried out by British Aerospace (BAe), now part of BAE Systems, at Hatfield and Bristol. Airbus estimated this would yield a two per cent improvement in aerodynamic efficiency, but the feature was rejected because of cost and difficulty of development. A true laminar flow wing (a low-drag shape that improves fuel efficiency) was also considered but rejected. With necessary funding available, the Airbus Supervisory Board approved the development of the A330 and A340 with potential customers on 27 January 1986. Its chairman Franz Josef Strauß stated afterwards that “Airbus Industrie is now in a position to finalise the detailed technical definition of the TA9, which is now officially designated the A330, and the TA11, now called the A340, with potential launch customer airlines, and to discuss with them the terms and conditions for launch commitments”. The designations were originally reversed and were switched so the quad-jet airliner would have a “4” in its name. Airbus hoped for five airlines to sign for both the A330 and A340, and on 12 May sent sale proposals to the most likely candidates, including Lufthansa and Swissair. From the beginning of the TA9’s development, a choice of engines from the three major engine manufacturers, Rolls-Royce, Pratt & Whitney, and GE Aviation, was planned. GE Aviation first offered the General Electric CF6-80C2. However, later studies indicated that more thrust was needed to increase the initial power capability from 267 to 289 kN (60,000 to 65,000 lbf). GE enlarged the CF6-80C2 fan from 236 to 244 centimetres (92.9 to 96.1 in) to create the CF6-80E1, giving a new thrust output of 300–320 kN (67,000–72,000 lbf). Rolls-Royce initially wanted to use the 267 kN (60,000 lbf) Trent 600 to power Airbus’s newest twinjet and the upcoming McDonnell Douglas MD-11. However, the company later agreed to develop an engine solely for the A330, the Trent 700, with a larger diameter and 311 kN (69,900 lbf) of thrust. The A330 was the first Airbus aircraft on which Rolls-Royce supplied engines. Similarly, Pratt & Whitney signed an agreement that covered the development of the A330-only PW4168. The company increased the fan size to augment power, enabling the engine to deliver 311 kN (69,900 lbf) of thrust. In preparation for the production of the A330 and A340, Airbus’s partners invested heavily in new facilities. In England, BAe made a £7 million investment in a three-storey technical centre with 15,000 m2(161,000 sq ft) of floor area at Filton. BAe also spent £5 million on a new production line at its Broughton wing production plant. In Germany, Messerschmitt-Bölkow-Blohm (MBB) invested DM400 million ($225 million) on manufacturing facilities in the Weser estuary, including at Bremen, Einswarden, Varel, and Hamburg. France saw the biggest investments, with Aérospatiale constructing a new Fr.2.5 billion ($411 million) final-assembly plant adjacent to Toulouse-Blagnac Airport in Colomiers; by November 1988, the pillars for the new Clément Ader assembly hall had been erected. The assembly process featured increased automation, such as robots drilling holes and installing fasteners during the wing-to-fuselage mating process. On 12 March 1987, Airbus received the first orders for the twinjet. The domestic French airline Air Inter placed five firm orders and fifteen options, while Thai Airways International requested eight aircraft, split evenly between firm orders and options. Airbus announced the next day that it would formally launch the A330 and A340 programmes by April 1987, with deliveries of the A340 to begin in May 1992 and A330 deliveries to start in 1993. Northwest Airlines signed a letter of intent for twenty A340s and ten A330s on 31 March. BAe eventually received £450 million of funding from the UK government, well short of the £750 million it had originally requested for the design and construction of the wings. The German and French governments also provided funding. Airbus issued subcontracts to companies in Australia, Austria, Canada, China, Greece, Italy, India, Japan, South Korea, Portugal, the United States, and the former Yugoslavia. With funding in place, Airbus launched the A330 and A340 programmes on 5 June 1987, just prior to the Paris Air Show. At that time, the order book stood at 130 aircraft from ten customers, including lessor International Lease Finance Corporation (ILFC). Of the order total, forty-one were for A330s. In 1989, Asian carrier Cathay Pacific joined the list of purchasers, ordering nine A330s and later increasing this number to eleven. The wing-to-fuselage mating of the first A330, the tenth airframe of the A330 and A340 line, began in mid-February 1992. This aircraft, coated with anti-corrosion paint, was rolled out on 31 March without its General Electric CF6-80E1 engines, which were installed by August. During a static test, the wing failed just below requirement; BAe engineers later resolved the problem. At the 1992 Farnborough Airshow, Northwest deferred delivery of sixteen A330s to 1994, following the cancellation of its A340 orders. The first completed A330 was rolled out on 14 October 1992, with the maiden flight following on 2 November. Weighing 181,840 kg (401,000 lb), including 20,980 kg (46,300 lb) of test equipment, the A330 became the biggest twinjet to have flown, until the later first flight of the Boeing 777. The flight lasted five hours and fifteen minutes during which speed, height, and other flight configurations were tested. Airbus intended the test flight programme to comprise six aircraft flying a total of 1,800 hours. On 21 October 1993, the Airbus A330 received the European Joint Aviation Authorities (JAA) and US Federal Aviation Administration (FAA) certifications simultaneously after 1,114 cumulative airborne test hours and 426 test flights. At the same time, weight tests came in favourable, showing the plane was 500 kg (1,100 lb) under weight. On 30 June 1994, a fatal crash occurred during certification of the Pratt & Whitney engine when an A330 crashed near Toulouse. Both pilots and the five passengers died. The flight was designed to test autopilot response during a one-engine-off worst-case scenario with the centre of gravity near its aft limit. Shortly after takeoff, the pilots had difficulty setting the autopilot, and the aircraft lost speed and crashed. An investigation by an internal branch of Direction Generale d’Aviation concluded that the accident resulted from slow response and incorrect actions by the crew during the recovery. This led to a revision of A330 operating procedures. Air Inter became the first operator of the A330, putting the aircraft into service on 17 January 1994 between Orly Airport, Paris, and Marseille. Deliveries to Malaysia Airlines (MAS) and Thai Airways International were postponed to address delamination of the composite materials in the PW4168 engine’s thrust reverser assembly. Thai Airways received its first A330 during the second half of the year, operating it on routes from Bangkok to Taipei and Seoul. Cathay Pacific received its Trent 700 A330s following the certification of that engine on 22 December 1994. MAS received its A330 on 1 February 1995 and then rescheduled its other ten orders. Airbus intended the A330 to compete in the Extended-range Twin-engine Operation Performance Standards (ETOPS) market, specifically with the Boeing 767. (ETOPS is a standard that allows longer range flights away from a diversion airport for aircraft that have met special design and testing standards.) Instead of the “ETOPS out of the box” or “Early ETOPS” approach taken by Boeing with its 777, Airbus gradually increased ETOPS approval on the A330 using in-service experience. Airbus suggested that the A340 and A330 were essentially identical except for their engine number, and that the A340’s experience could be applied to the A330’s ETOPS approval. The plans were for all three engine types to enter service with 90-minute approval, before increasing to 120 minutes after the total A330 fleet accumulated 25,000 flight hours, and then to 180 minutes after 50,000 flight hours, in 1995. Aer Lingus and Cathay Pacific were two important airlines assisting Airbus in this endeavour by building up in-service flight hours on over-ocean flights. In November 2009, the A330 became the first aircraft to receive ETOPS–240 approval, which has since been offered by Airbus as an option. In response to a decline in A330-300 sales, increased market penetration by the Boeing 767-300ER, and airline requests for increased range and smaller aircraft, Airbus developed the Airbus A330-200.Known as the A329 and A330M10 during development, the A330-200 would offer nine per cent lower operating costs than the Boeing 767-300ER. The plane was aimed at the 11,900 km (6,430 nmi; 7,390 mi) sector, where Airbus predicted demand for 800 aircraft between 1995 and 2015. The project, with US$450 million in expected development costs, was approved by the Airbus Industrie Supervisory Board on 24 November 1995. The A330-200 first flew on 13 August 1997. The sixteen-month certification process involved logging 630 hours of test flights. The A330-200’s first customer was ILFC; these aircraft were leased by Canada 3000, who became the type’s first operator. As Airbus worked on its A330-200, hydraulic pump problems were reported by both A330 and A340 operators. This issue was the suspected cause of a fire that destroyed an Air France A340-200 in January 1994. On 4 January of that year, a Malaysia Airlines A330-300, while undergoing regular maintenance at Singapore Changi Airport, was consumed by a fire that started in the right-hand main undercarriage well. The incident caused US$30 million in damage, and the aircraft took six months to repair. Consequently, operators were advised to disable electrical pumps in January 1997. Several in-flight shutdowns of Trent 700–powered A330-300s occurred. On 11 November 1996, engine failure on a Cathay Pacific flight forced it back to Ho Chi Minh City. On 17 April 1997, Cathay Pacific’s subsidiary Dragonair experienced an engine shutdown on an A330, caused by carbon clogging the oil filter. As a result, Cathay Pacific self-suspended its 120-minute ETOPS clearance. Another engine failure occurred on 6 May during climbout with a Cathay Pacific A330, due to a bearing failure in a Hispano-Suiza-built gearbox. Three days later, a Cathay Pacific A330 on climbout during a Bangkok–Hong Kong flight experienced an oil pressure drop and a resultant engine spool down, forcing a return to Bangkok. The cause was traced to metal contamination in the engine’s master chip. Following a fifth engine failure on 23 May, Cathay Pacific and Dragonair voluntarily grounded their A330 fleets for two weeks, causing major disruption as Cathay’s eleven A330s made up fifteen per cent of its passenger capacity. Rolls-Royce and Hispano-Suiza developed a redesigned lubrication system to resolve the problem. The freighter variant, the A330-200F, debuts at the Singapore Airshow2010. Responding to lagging A300-600F and A310F sales, Airbus began marketing the Airbus A330-200F, a freighter derivative of the A330-200, around 2001. The freighter has a range of 7,400 km (4,000 nmi; 4,600 mi) with a 65 tonnes (140,000 lb) payload, or 5,900 km (3,200 nmi; 3,700 mi) with 70 tonnes (150,000 lb). The plane utilises the same nosegear as the passenger version, however it is attached lower in the fuselage and housed in a distinctive bulbous “blister fairing”. This raises the aircraft’s nose so that the cargo deck is level during loading, as the standard A330’s landing gear results the plane having a nose-down attitude while on the ground. The A330-200F made its maiden flight on 5 November 2009. This marked the start of a four-month, 180-hour certification programme. JAA and FAA certifications were expected by March the following year although approval by the JAA was delayed until April. The first delivery was subsequently made to the Etihad Airwayscargo division, Etihad Cargo, in July 2010. Airbus announced in February 2011 that it intended to raise production rates from seven-and-a-half to eight per month to nine per month in 2012, and ten per month in 2013. Production increased to 10 aircraft per month in April 2013, the highest for an Airbus widebody aircraft. In 2012, Airbus expected the A330 to continue selling until at least 2020, with the A350-900 expected to replace the A330-300. Air China A330-243 taking off from Munich Airport. On 19 July 2013, Airbus delivered the 1000th A330 to Cathay Pacific. It is the first Airbus wide-body airliner to reach 1,000 deliveries, and the fourth wide-body to achieve the milestone after the Boeing 747, 767 and 777. As of June 2017, a total of 1,475 A330ceos had been ordered, with 1,354 delivered. On 25 September 2013 at the Aviation Expo China (Beijing Airshow), Airbus announced a new lower weight A330-300 variant, optimised for use on domestic and regional routes in high growth markets with large populations and concentrated traffic flows; China and India were recognised as prime targets. This variant could carry up to 400 passengers. The increased efficiency, however, comes more from the installation of more seats than any weight reduction. On relatively short, yet congested routes, the A330 competes against single-aisle jetliners. While the A330’s operating costs in those conditions is not far above those of the Boeing 737 or Airbus A321, the A320neo and 737 MAX promise more efficiency. Where the frequency of flights cannot be increased, using larger aircraft, such as the A330, is the only available option to increase capacity. The first customer for the A330 regional was announced as Saudia at the 2015 Paris Air Show. In December 2014, Airbus announced that it would reduce A330 production to nine aircraft per month from ten, because of falling orders. Airbus did not rule out further production cuts. The announcement led to an immediate drop in Airbus Group’s stock price because the company derives a significant percentage of its cash flow and net profit from the A330 program; the A330’s financial impact is magnified amid problems in the A350 and A380 programs. In February 2015, Airbus announced another production rate cut to six aircraft per month beginning in the first quarter of 2016. This extends A330ceo production to July 2017, allowing for a smooth transition to A330neo production, which is set to start in Spring 2017. In February 2016 Airbus announced, that it will re-increase the production rate from 6 to 7 per month, as response to new A330 orders. The A330neo (“neo” for “New Engine Option”) is a development from the initial A330 (now A330ceo – “Current Engine Option”). A new version with modern engines developed for the Boeing 787 was called for by owners of the current A330. It was launched in July 2014 at the Farnborough Airshow, promising 14% better fuel economy per seat. It will use exclusively the larger Rolls-Royce Trent 7000. Its two versions are based on the A330-200 and -300: the -800 should cover 7,500 nmi (13,900 km) with 257 passengers while the -900 should cover 6,550 nmi (12,130 km) with 287 passengers. The -900 should be introduced at the end of 2017. The A330 is a medium-size, wide-body airliner, with two engines suspended on pylons under the wings. A two-wheel nose undercarriage and two four-wheel bogie main legs built by Messier-Dowty support the airplane on the ground. Its maximum takeoff weight (MTOW) grew from 212 tonnes (467,000 lb) at introduction to 242 tonnes (534,000 lb) in 2015, enhancing its payload-range performance, with a 0.9 tonnes (1,980 lb) heavier Maximum Ramp Weight (MRW). The airframe of the A330 features a low-wing cantilever monoplane with a wing virtually identical to that of the A340. On the A330-300 one engine is installed at the inboard pylon while the outboard pylon position is not used, while for the A340-300 both engine pylons are used, which allows the A340-300 wing to able to sustain a higher (wing limited) MTOW. This is as the A340’s two engines at each wing provide a more equal force distribution (engine weight) over the wing, while also the total engine weight counteracting moment is located more outboard with more engine weight located further outboard on the wing, hence the wing root bending moment with equal TOW is less on the A340-300 than on the A330-300. The wings were designed and manufactured by BAe, which developed a long slender wing with a very high aspect ratio to provide high aerodynamic efficiency. The wing is swept back at 30 degrees and, along with other design features, allows a maximum operating Mach number of 0.86. The wing has a very high thickness-to-chord ratio of 12.8 per cent, which means that a long span and high aspect ratio can be attained without a severe weight penalty. For comparison, the rival MD-11 has a thickness-to-chord ratio of 8–9 per cent. Each wing also has a 2.74 m (8.99 ft) tall wingletinstead of the wingtip fences found on earlier Airbus aircraft. The shared wing design with the A340 allowed the A330 to incorporate aerodynamic features developed for the former aircraft. The failure of International Aero Engines’ radical ultra-high-bypass V2500 “SuperFan”, which had promised around 15 per cent fuel burn reduction for the A340, led to multiple enhancements including wing upgrades to compensate. Originally designed with a 56 m (180 ft) span, the wing was later extended to 58.6 m (190 ft) and finally to 60.3 m (200 ft).At 60.3 m (200 ft), the wingspan is similar to that of the larger Boeing 747–200, but with 35 percent less wing area. The A330/A340 cockpit used the A320’s six-screen design. The A330 and A340 fuselage is based on that of the Airbus A300-600, with many common parts, and has the same external and cabin width: 5.64 m (19 ft) and 5.28 m (17 ft). Typical seating arrangements are 2–2–2 six-abreast in business class and 2–4–2 eight-abreast in economy class. The fin, rudder, elevators, horizontal tail plane used as fuel tank, flaps, ailerons and spoilers are made of composite materials, making 10% of the structure weight When necessary, the A330 uses the Honeywell 331–350C auxiliary power unit (APU) to provide pneumatics and electrical power. The A330 shares the same glass cockpit flight deck layout as the A320 and A340, featuring electronic instrument displays rather than mechanical gauges. Instead of a conventional control yoke, the flight deck features side-stick controls, six main displays, and the Electronic Flight Instrument System (EFIS), which covers navigation and flight displays, as well as the Electronic Centralised Aircraft Monitor (ECAM). Apart from the flight deck, the A330 also has the fly-by-wire system common to the A320 family, the A340, the A350, and the A380. It also features three primary and two secondary flight control systems, as well as a flight envelope limit protection system which prevents manoeuvres from exceeding the aircraft’s aerodynamic and structural limits. With launch of Airbus A330neo, the existing members of the Airbus A330 family (A330-200, 200F, 300, and MRTT) received the Airbus A330ceo (“current engine option”) name. Powered by two General Electric CF6-80E1, Pratt & Whitney PW4000, or Rolls-Royce Trent 700 engines, the 63.69 m (208 ft 11 in) long −300 has a range of 11,750 km / 6,350 nmi, typically carries 277 passengers with a 440 exit limit and 32 LD3 containers. It received European and American certification on 21 October 1993 after 420 test flights over 1,100 hours. The −300 entered service on 16 January 1994. The A330-300 is based on a stretched A300 fuselage but with new wings, stabilisers and fly-by-wire systems. In 2010 Airbus offered a new version of the −300 with the maximum gross weight increased by two tonnes to 235 t. This enabled 120 nmi extension of the range as well as 1.2 t increase in payload. In mid-2012, Airbus proposed another increase of the maximum gross weight to 240 t. It is planned to be implemented by mid-2015. This −300 version will have the range extended by 400 nmi and will carry 5 t more payload. It will include engine and aerodynamic improvements reducing its fuel burn by about 2%. In November 2012, it was further announced that the gross weight will increase from 235 t to 242 t, and the range will increase by 500 nmi or 926 km or 575 mi to 6,100 nmi (11,300 km; 7,020 mi). Airbus is also planning to activate the central fuel tank for the first time for the −300 model. As of June 2017, 782 -300s had been ordered, 703 of which had been delivered, with 683 in operation. The 2015 list price is $253.7 million. The closest competitors have been the Boeing 777-200/200ER, and the now out-of-production McDonnell Douglas MD-11. In 2000, it was reported that Airbus was studying an A330-300 version with a higher gross weight. It was named A330-300HGW and had a takeoff weight of 240 tonnes (530,000 lb), 7 tonnes (15,000 lb) greater than the −300’s weight at the time. The version would have a strengthened wing and additional fuel capacity from a 41,600-litre (11,000 US gal) centre section fuel tank. The A330-300HGW’s range was increased to over 11,000 km (5,940 nmi; 6,840 mi). Among those that showed interest was leasing company ILFC, which sought airliners that could fly from the US West Coast to Europe. Power was to be supplied by all three engines offered to A330-200 and A330-300 with lower gross weight. Airbus also considered using the new Engine Alliance GP7000 engine for the A330-300HGW, which would have been the engine’s first twinjet application. The −300HGW was to enter airline service in 2004. However, the -300HGW programme was not launched and quietly disappeared. The 240-tonne A330 reappear years later when Airbus announced at the 2012 Farnborough Airshow that it would be an available option for both the A330-300 and the A330-200. In November 2012, the maximum take off weight was further increased to 242 tonnes; the first of these aircraft was to enter service with Delta Air Lines in Q2 2015. In September 2013, Airbus announced a version of the A330-300, named A330 Regional or A330-300 Regional. The A330 Regional have seating for up to around 400 passengers, with reduced engine thrust, reduced maximum takeoff weight of 199 t (439,000 lb) and reduced range of 2,700 nautical miles (5,000 km; 3,110 mi). It is said that the maximum takeoff weight of these aircraft can be “eas[il]y upgrade to 242 t (534,000 lb)”, which is the extended range version with range of 6,350 nmi (11,800 km; 7,310 mi). It is said to provide up to 26% lower operating costs than the longer range version A330-300. On August 18, 2016, Airbus delivered the first A330 Regional to Saudia. The A330-200 is a shortened, longer-range variant, which entered service in 1998 with Korean Air. Typical range with 253 passengers in a three-class configuration is 13,400 km (7,240 nmi; 8,330 mi).The A330-200 is ten fuselage frames shorter than the original −300, with a length of 58.82 m (193 ft 0 in). To compensate for the smaller moment arm of the shorter fuselage, the vertical stabiliser height of the −200 was increased by 104 cm (40.9 in). The −200’s wing was also modified; structural strengthening of the wing allowed the maximum takeoff weight of the −200 to be increased to 229.8 tonnes (507,000 lb). The −200 is offered with three engine types similar to those found on the −300, namely the General Electric CF6-80E, Pratt & Whitney PW4000, or Rolls-Royce Trent 700. Airbus also boosted fuel capacity to 139,100 L (36,700 US gal) by adding the centre section fuel tank, standard in the A340. In mid-2012, Airbus proposed another version of the −200 with the maximum gross weight increased by 2 t to 240 t. This version had its range extended by 270 nmi and carried 2.5 t more payload. It saw engine and aerodynamic improvements reducing its fuel burn by about 2%. In November 2012, it was announced that the gross weight was to be further increased to 242 t with the range extended by 350 nmi over the 238 t version. It was certified by the EASA on 8th September 2015 . As of June 2017, 651 of the −200 had been ordered, 613 of which had been delivered, with 603 aircraft in operation. The 2015 list price is $229 million. The −200 competes with the Boeing 767-300ER and to a lesser extent the 767-400ER as well as with new 787 Dreamliner. The A330-200 is also available as an ultra-long-range corporate jet as the A330-200 Prestige. The bulge under the A330-200F nose corrects the inherent nose-down attitude of passenger versions. The A330-200F is an all-cargo derivative of the A330-200 capable of carrying 65 t (140,000 lb) over 7,400 km (4,000 nmi; 4,600 mi) or 70 tonnes (150,000 lb) up to 5,900 km (3,200 nmi; 3,700 mi). To overcome the standard A330’s nose-down body angle on the ground, the A330F uses a revised nose undercarriage layout to provide a level deck during cargo loading. The normal A330-200 undercarriage is used, but its attachment points are lower in the fuselage, thus requiring a distinctive blister fairing on the nose to accommodate the retracted nose gear. Power is provided by two Pratt & Whitney PW4000 or Rolls-Royce Trent 700 engines. General Electric does not plan to offer an engine for the A330-200F. As of June 2017, Airbus had delivered 38 aircraft with four unfilled orders. The list price is $203.6 million. As well as new-build freighters, Airbus has proposed passenger-to-freighter conversions of existing −200 airliners. The A330-200F is sized between the 767-300F and 777F, but trails both Boeing models in orders and deliveries. In 2012, Airbus announced plans for a passenger-to-freighter program with ST Aerospace. The A330-300 and −200 are to be part of the P2F program with the −300 to come first and the −200 to follow a year later. Conversion work will be done mainly in Dresden, Germany. EgyptAir Cargo was the launch customer for -200 P2F.Qatar Airways has already showed interest in the program. The aircraft is expected to enter service in 2016. The A330-300P2F variant has a payload of 60 tonnes with the range of 2,200 nautical miles (4,000 km) or 61 tonnes with the range of 3,600 nautical miles (6,600 km) for the higher MTOW variants. The A330-200P2F will carry the payload of up to 59 tons on ranges up to 4,000 nautical miles (7,400 km). Airbus estimates the market demand for the conversions at 900 units during the next 20 years. The Airbus A330-800neo will retain the fuselage length of the A330-200, with cabin optimisation allowing up to six additional seats. It will feature new Rolls-Royce Trent 7000 engines with a 10:1 bypass delivering 320 kN (72,000 lbf), improved aerodynamics including A350-style winglets increasing the span by 3.7m to 64m, and is scheduled to enter service in early 2018. It should cover 7500 nm (13,900 km) with 257 passengers (406 max). The Airbus Airbus A330-900neo will keep the A330-300 fuselage with 10 more seats thanks to cabin optimisation. With the same engine and wing improvements, it should burn 14% less fuel per seat than the A330-300 on a 4,000 nmi flight and is expected to enter service at the end of 2017. It should travel 6550 nm (12,130 km) with 287 passengers (440 max). Airbus has started design of a replacement aircraft for the Beluga in November 2014: the Beluga XL based on the Airbus A330. The Airbus A330 MRTT is the Multi-Role Transport and Tanker (MRTT) version of the A330-200, designed for aerial refuelling and strategic transport. As of November 2014, 46 total orders have been placed for the A330 MRTT by the air forces of Australia, France, Saudi Arabia, Singapore, the United Arab Emirates, and the United Kingdom. The EADS/Northrop Grumman KC-45 was a proposed version of the A330 MRTT for the United States Air Force (USAF)’s KC-X aerial refuelling programme. In February 2008, the USAF selected the aircraft to replace the Boeing KC-135 Stratotanker. The replacement process was mired in controversy, instances of corruption, and allegations of favouritism. In July 2010, EADS submitted a tanker bid to the USAF without Northrop Grumman as a partner. However, on 24 February 2011, the USAF picked the Boeing KC-767 proposal, later named KC-46, as the winner because of its lower cost. In 1996 Airbus evaluated a 12-frame stretch which would be able to carry 380 passengers over almost 7,000 km (3,800 nmi), the -400, and a “super-stretch” using the A340-600’s 22-frame stretch and powered by 400 kN (90,000 lbf) engines, the -600. Also known as the A330-100, the A330-500 was a proposed “shrink” of the A330-200 version launched in July 2000 at the Farnborough Airshow, with eight fuselage frames removed – four ahead and four behind the wing. This would allow for the seating of 222 passengers. The −500’s maximum takeoff weight was to be 228 tonnes (503,000 lb), a 5-tonne (11,000 lb) decrease from the A330-200, allowing a range of 12,970 km (7,000 nmi; 8,060 mi). A lighter version, at 195 tonnes (430,000 lb), would have flown up to 8,060 km (4,350 nmi; 5,010 mi). The aircraft would have had 5 per cent better specific fuel consumption than the A300-600, powered by either the CF6-80G2, PW4000, or the Trent 500. Prospective customers included ILFC, CIT Aerospace, Lufthansa, and Hapag-Lloyd. The latter two, however, were unimpressed with the long-range variant, preferring a shorter-range aircraft, which was better suited to their route structure. Singapore Airlines was also an expected customer because it was looking for a replacement for the A310. Airbus intended to freeze the design in late 2001, with the first flight scheduled for the third quarter of 2003 and entry into service within a year. The programme was later abandoned, as interest from customers was lacking. To compete with Boeing’s 7E7 (later 787), Airbus offered a minimum-change derivative called the A330-200Lite in 2004. As the name indicated, this proposed variant would have had a lower maximum takeoff weight of 202 tonnes (445,000 lb), coupled with de-rated engines, giving a range of 7,400 km (4,000 nmi; 4,600 mi). It was aimed at Singapore Airlines, who had looked to replace its Airbus A310-300s. The variant was also to be a replacement for Airbus A300-600Rs and early Boeing 767s. Airlines, however, were not satisfied with the compromised aircraft; the company instead proceeded with an entirely new aircraft, the A350 XWB. As of June 2017, there are 1,324 examples of all A330 variants in airline service, comprising 603 A330-200s, 38 -200Fs, and 683 -300s. The airline operators are Turkish Airlines (64), Air China (56), China Eastern Airlines (54), Delta Air Lines (42), and other operators with fewer aircraft. For a more comprehensive list, see List of accidents and incidents involving the Airbus A330. As of June 2017, the Airbus A330 had been involved in 28 major aviation occurrences, including 11 confirmed hull-loss accidents and two hijackings, for a total of 339 fatalities. The type’s first fatal accident occurred on 30 June 1994 near Toulouse on a test flight when an Airbus-owned A330-300 crashed while simulating an engine failure on climbout, killing all seven on board. Airbus subsequently advised A330 operators to disconnect the autopilot and limit pitch attitude in the event of an engine failure at low speed. On 15 March 2000, a Malaysia Airlines A330-300 suffered structural damage due to leaking oxalyl chloride, a corrosive chemical substance that had been improperly labeled before shipping. The aircraft was written off. The type’s second fatal accident, and first while in commercial service, occurred on 1 June 2009 when Air France Flight 447, an A330-200 en route from Rio de Janeiroto Paris with 228 people on board, crashed in the Atlantic Ocean 640–800 km (350–430 nmi) northeast of the islands of Fernando de Noronha, with no survivors. Malfunctioning pitot tubes provided an early focus for the investigation, as the aircraft involved had Thales-built “–AA” models known to record faulty airspeed data during icing conditions. In July 2009, Airbus advised A330 and A340 operators to replace Thales pitots with equivalents manufactured by Goodrich. Investigators later determined that the inadequate response of the pilots to both a loss of airspeed data from malfunctioning pitot tubes and subsequent autopilot disengagement resulted in Flight 447 entering into an aerodynamic stall. In 2008, Air Caraïbes reported two incidents of pitot tube icing malfunctions on its A330s. On 12 May 2010, Afriqiyah Airways Flight 771, an A330-200, crashed on approach to Tripoli International Airport, Libya, on a flight from OR Tambo International Airport, Johannesburg, South Africa. Of the 104 people on board, all but one nine-year-old Dutch boy died. The cause of the crash was determined to be pilot error. The two hijackings involving the A330 have resulted in one fatality, namely the hijacker of Philippine Airlines Flight 812 on 25 May 2000, who jumped out of the aircraft to his death. The hijacking of Sabena Flight 689 on 13 October 2000 ended with no casualties when Spanish police took control of the aircraft. On 24 July 2001, two unoccupied SriLankan Airlines A330s were destroyed amid an attack on Bandaranaike International Airport, in Colombo, Sri Lanka, by the Liberation Tigers of Tamil Eelam. On 25 December 2009, passengers and crew subdued a man who attempted to detonate explosives in his underwear on an A330-300 operating Northwest Airlines Flight 253. Two A330 incidents due to in-flight malfunctions were survived by all on board. On 24 August 2001, Air Transat Flight 236, an A330-200, developed a fuel leak over the Atlantic Ocean due to an incorrectly installed hydraulic part and was forced to glide for over 15 minutes to an emergency landing in the Azores. On 7 October 2008, Qantas Flight 72, an A330-300, suffered a rapid loss of altitude in two sudden uncommanded pitch-down manoeuvres while 150 km (81 nmi) from the RAAF Learmonth air base in northwestern Australia. After declaring an emergency, the crew landed the aircraft safely at Learmonth. 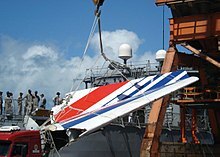 It was later determined that the incident, which caused 106 injuries, 14 of them serious, was the result of a design flaw of the plane’s Air Data Inertial Reference Unit and a limitation of the aircraft’s flight computer software. On 13 April 2010, Cathay Pacific Flight 780 from Surabaya Juanda International Airport to Hong Kong landed safely after both engines failed due to contaminated fuel. 57 passengers were injured. Its two pilots received the Polaris Award from the International Federation of Air Line Pilots’ Associations, for their heroism and airmanship. On 15 July 2014, a Libyan Airlines A330 was severely damaged in the fighting in Libya and sustained bullet holes in the fuselage. On 20 July 2014, two Afriqiyah Airways Airbus A330 were hit by an RPG at Tripoli International Airport. One was completely destroyed in the ensuing fire.